Mount Kilimanjaro views ( highest mountain in Africa). The Great Rift Valley escarpment. Thousands of flamingoes, pelicans and other bird species. Rhino sanctuary visit at the lake Nakuru. Game and scenery viewing and the Masai tribesmen. 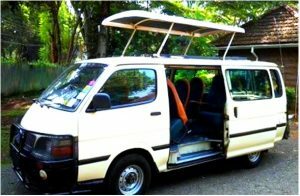 Jamboree Kenya Day Tours & Excursions – Nairobi City Tours Day tours in Nairobi City Excursions. 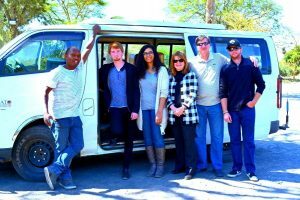 Enjoy our Short day Tours in the Nairobi sorroundings such as Sheldrick Elephant Orphanage, a Walking City Tour, Kenya Nairobi city tour, Karen Blixen, Nairobi national park, Bomas of Kenya, Giraffe centre, Kenya National Museum, Carnivore restaurant, Karura forest, Ngong hills hiking, Snake park, etc . 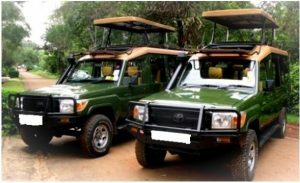 Natural World Kenya Safaris have long been recognized as a leading provider of unforgettable safari trips and excursions in Kenya, and at our head office in Nairobi, you can find a true hub for local tour bookings in the safari capital of the world. You can send us an email , call, whatsapp or visit the Jamboree Africa Tours and Safaris (JATS) Nairobi booking office to book a last-minute tour or excursion or short notice safari, or to speak with our friendly travel advisors regarding any of our Kenya safari trips. 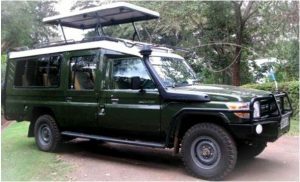 Furthermore, visitors already located in Nairobi can make telephone bookings via the office, and secure a safari package deal bespoke to their own requirements. Accommodation before the tour departs can be arranged at extra cost. A guided tour of the city of Nairobi (better known as the city in the sun) will generally include the city market; which houses several curio shops. Its surrounding bazaars, a drive past Kenyatta International Conference Center, which was until recently the highest building in the region, the parliament buildings which are adjacent to the late Jomo Kenyatta's mausoleum, the railways museum and the Nairobi University. For coffee lovers, feel free to ask your guide to show you to one of the many coffee lounges for a cup of pure Kenyan coffee. The tour ends with a visit to the Snake Park and national museum. There was a time not so long ago, when lions freely roamed the streets of Nairobi. Today they can be seen only 14 kilometers from the city center in the Nairobi National Park. The Nairobi National Park boast of being the only Park in the world with such close proximity to a major city. For short term visitors, this park contains most of the animals to be seen on more extended safari such as the rhino, buffalo, cheetah, zebra, giraffe,plenty of antelopes and gazelles. The park is best visited early in the morning and the game drive takes 3 to 4 hours. There after you can opt to enjoy breakfast at the famous Rangers restaurant which is been built overlooking a waterhole that periodically attracts game, treating you to an authentic bush experience. Kenya is the indeed the land of contrast and diversity. It boasts of 42 tribes. There is not a better place that captures a bird's eye view of the 42 tribes' cultures like the Bomas of Kenya does. Here you get to see the recreated Kenyan villages with their traditional huts and depicting in great details their original lifestyles. But even better you get to enjoy colorful stage performances by dancers from different tribes and even sample some traditional dishes. The dances begin in the afternoons. The Carnivore Restaurant is famous world over. For many Kenyan visitors you have not been to Kenya if you have not been at the Carnivore. It is rated amongst the 50 beast restaurants in the world, and a meal here is considered "Africa's greatest Eating Experience". While here make sure you get a taste of the succulent mouth watering crocodile meat. On a hot sunny afternoon nothing quenches your thirst like their special cocktail juice. Open to the public from 11:00hrs to 12:00hrs daily. Located at The Nairobi National Park, Daphne Sheldrick’s Elephant Orphanage looks after and supports orphaned baby elephants and rhinos who have lost their mothers to poaching, death, injuries, on getting lost in the wild or other tragedies. Besides feeding, washing and walking the babies, Daphne and her dedicated staff of keepers provide emotional support to the orphans as they raise them to be released back into the wild when they are ready. It is worth a visit to the park to see the young elephants interacting with their keepers – playing, taking mud baths and being fed with milk. This is a rare sight to watch and a most memorable way to get up close to the babies and observe their playful habits, something which is not possible or even safe during your safari in the wild. Karen Blixen's home lies at the foot of Ngong hills,and is now preserved as a museum.A visit here will expose you to the furniture, artifacts and photographs from her days as a pioneer coffee farmer. Soon after, we drive you to the giraffe center, where families of the rare Rothschild giraffe can be hand fed and photographed from a platform at giraffe's eye level. There is a restaurant within the center where you can sit for a cup of afternoon tea before returning to the comfort of your hotel room. Depart Nairobi in the morning and drive to the floor of the Rift Valley stopping to marvel at the views of the escarpment along the way. Arrive Lake Nakuru National Park for mid-morning game drive. Proceed for lunch at Lake Nakuru Lodge. Another short game drive as you get out of the park, and drive back to Nairobi arriving early evening.